It is that time of the year again when Youtube Rewind is released. 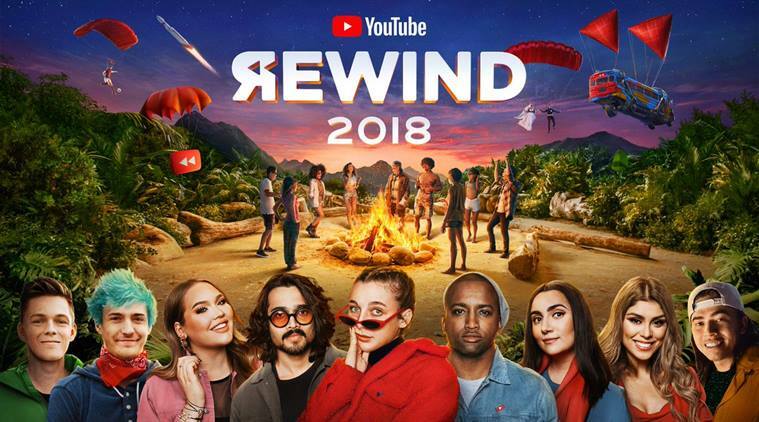 Youtube Rewind is a short seven to ten-minute video that Youtube puts together every year with its creators in order to recap all the different moments of that particular year. Every year when rewind comes around the internet divides into two groups: Those who enjoyed the video and those who absolutely hate it. This year the latter exceeds the former by far. The video currently has a whopping 9.8 million dislikes, tying with Justin Bieber’s ‘Baby’ which is currently most disliked video on Youtube, and rightfully so. This edition of Youtube Rewind opens up with Will Smith who, last time I checked, was not a Youtube creator. Clearly off to a great start. Then, of course, this year had to feature the worldwide phenomenon Fortnite, no surprise there. After this, none other than Liza Koshy introduces this years theme: Everyone controls rewind. This theme is a pathetic, and frankly embarrassing, attempt at inclusivity. The very messages that Youtube is promoting in this Rewind, specifically mental health, get flagged and demonetized when creators actually address them in their videos. On top of this, they supposedly advocate for the queer community when in reality Youtube puts anti-gay ads on queer creator’s videos. While on the surface this theme makes Youtube look good, anyone who knows anything about Youtube would know it means nothing. We, of course, cannot forget the absolutely abhorrent recreation of BTS’ ‘IDOL’ featuring Casey Neistat of all people, less than ideal acting, and how they somehow still manage to slip in Lele Pons and her crew.